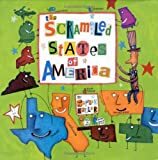 Picture Books for Kids Who Like Maps - a "Best Book List"
This book became an instant classic when it appeared. Do you ever wonder what would happen if all the states got tired of staying in the same old place and switched places with each other? Well, neither did I, but Laurie Keller did, with hilarious results. This book, which has beautiful illustrations, looks at what maps various animals would use — that is, if they used maps. The narrator starts with floor plans of her room and house, and then expands that to her street, town, state, country, and finally, world. Then, she reverses and works right back down to her room. Lisa learns about maps and their parts at school, and then applies her new skills to mapping the world she shares with her dog, Penny. Lisa makes maps of her room, her yard, the neighborhood, and the local park. 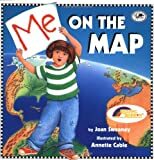 This book may inspire your child to make some maps of his or her own.